Home  Welcome to Promedica! We offer high quality products with a special focus on aesthetics which cater to the various everyday requirements of dentists. 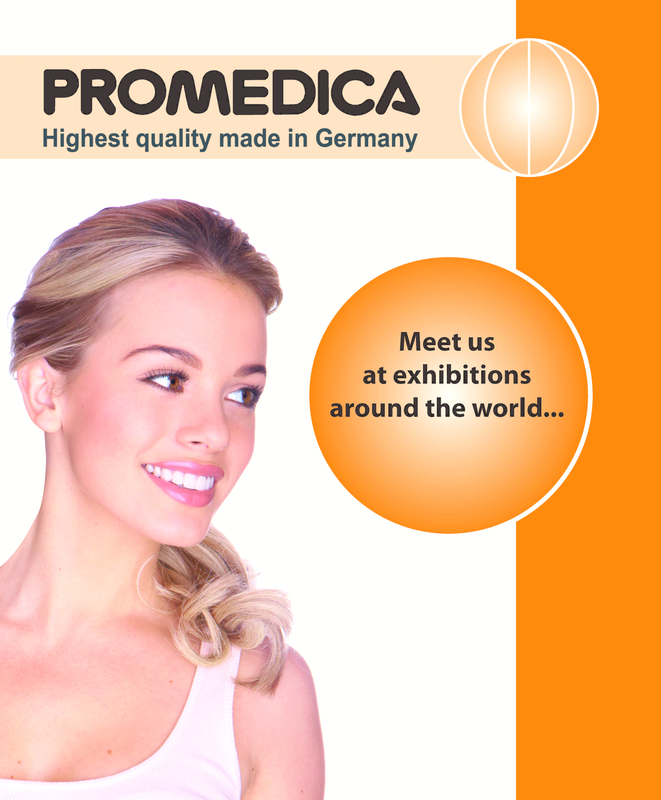 All products are designed to become an integral part of a dentist‘s everyday life: The wide PROMEDICA product range offers proven classic products, as well as highly innovative products for different and varied application fields. The reliability of our products is outstanding (owed to our high commitment to research and development, as well as our long-standing experience and our strong focus on quality). All our products are manufactured in Germany under highest quality aspects. They are, of course, certified to international standards in accordance with ISO 13485: 2016 guaranteeing production and quality control of the highest level. Since our company was founded in 1983, we have been fulfilling the needs of dentists and their patients. For us, this does not just mean offering aesthetic, high-quality products, but also the best possible service. We currently have business partners in more than 70 countries around the world, and we are constantly growing.